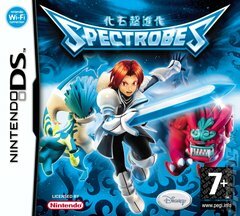 OverviewDisney Interactive's first original IP, Spectrobes is a DS game that involves training Spectrobes in order to fight the Krawl. 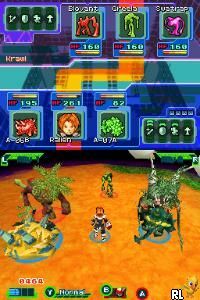 In the Solar System named Nanairo, two NPP Officers (Nanairo Planetary Patrol) Rallen and Jeena find a weird object on the ground while patrolling planet Daichi called the Prizmod. Along with the Prizmod comes a battle against fearsome monsters. To add along to the mystery, someone left unconscious is found along the Prizomd. This man seems to know all the answers as to what is going on. What can it be? Play to find out! 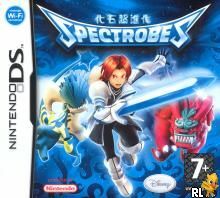 Immerse yourself in the world of Spectrobes to in the epic battle against the Krawl in this game made by Disney Interactive! Now you can add videos, screenshots, or other images (cover scans, disc scans, etc.) for Spectrobes (E)(Legacy) to Emuparadise. Do it now! If you haven't noticed yet, we have a retro game of the day feature (top-right of the screen) wherein we feature a new retro title every single day! Now, you can vote for your favorite games and allow them to have their moment of glory. Click on the button below to nominate Spectrobes (E)(Legacy) for Retro Game of the Day.